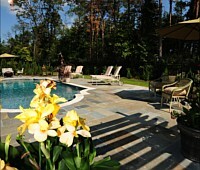 Pools and spas on your property provide hours of entertainment and fun for your family. In addition, they increase your home’s worth as well. 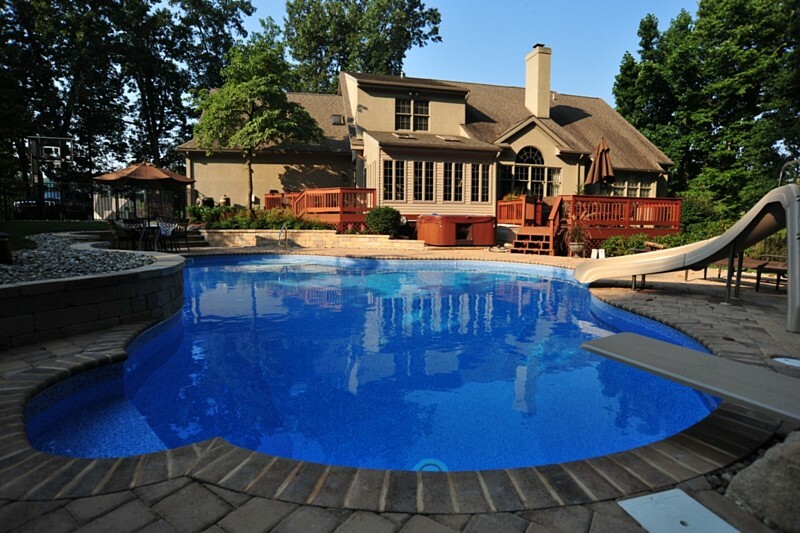 Real estate agents will tell you that the addition of a custom swimming pool adds between 20 and 50% resale value to a property. There’s no time like now to start investing in your property’s future value. 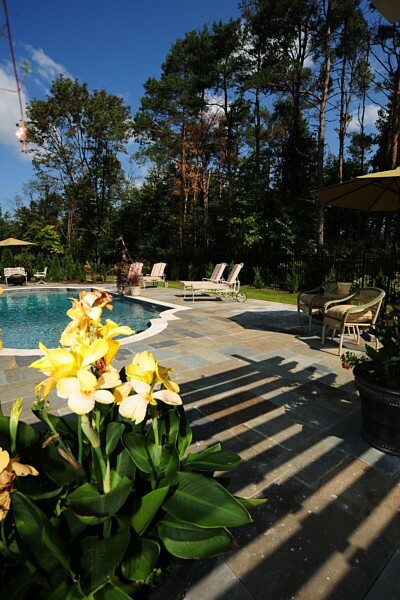 Go ahead and plan that stunning oasis you wanted, right in your yard. 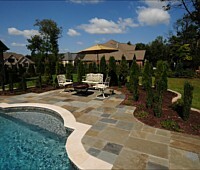 Hemlock Landscaping is a premier full-service landscaping company that provides custom swimming pool solutions. 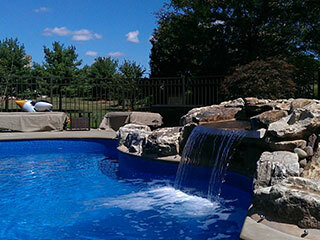 Teaming up with Crystal Pools, Goodall Pools, or any company of your choice allows us the opportunity to offer client’s innumerable designs that will help you create a unique swimming pool feature on your property. 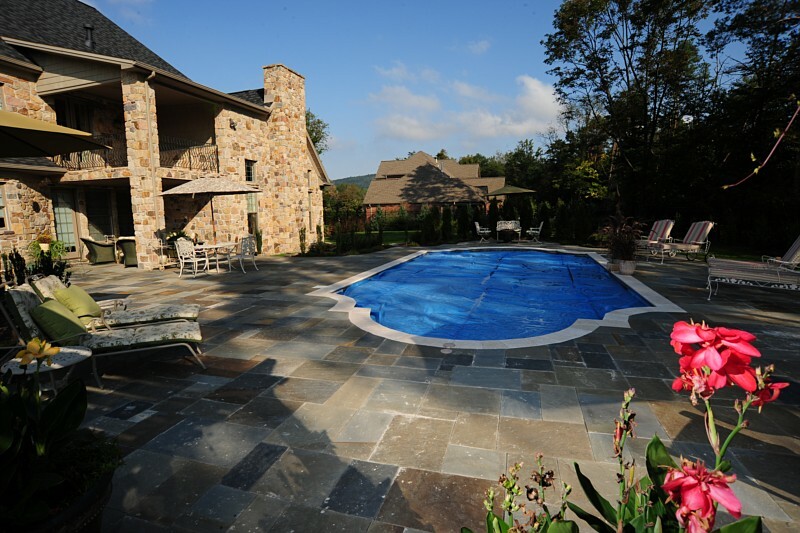 From our base in Harrisburg, we have been catering to clients across Central Pennsylvania in areas including Harrisburg, Camp Hill, and Mechanicsburg since 1977. 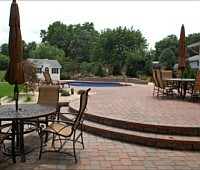 Our swimming poolscapes have enhanced the appeal and value of numerous properties in Hummelstown and Hershey. We have also built a very strong repeat client base in Lewisberry, Marysville, and Enola. 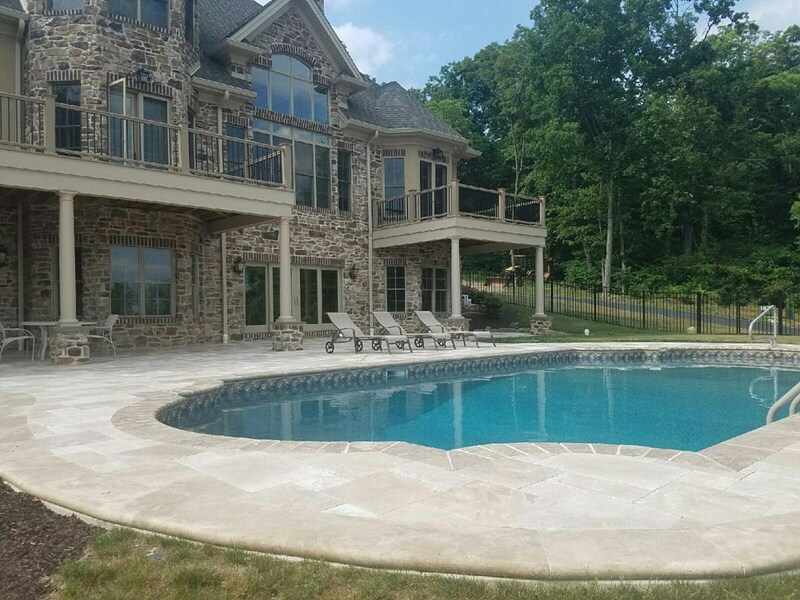 Our team has successfully completed similar projects on properties in Linglestown, Elizabethtown as well as Dauphin and the surrounding areas. 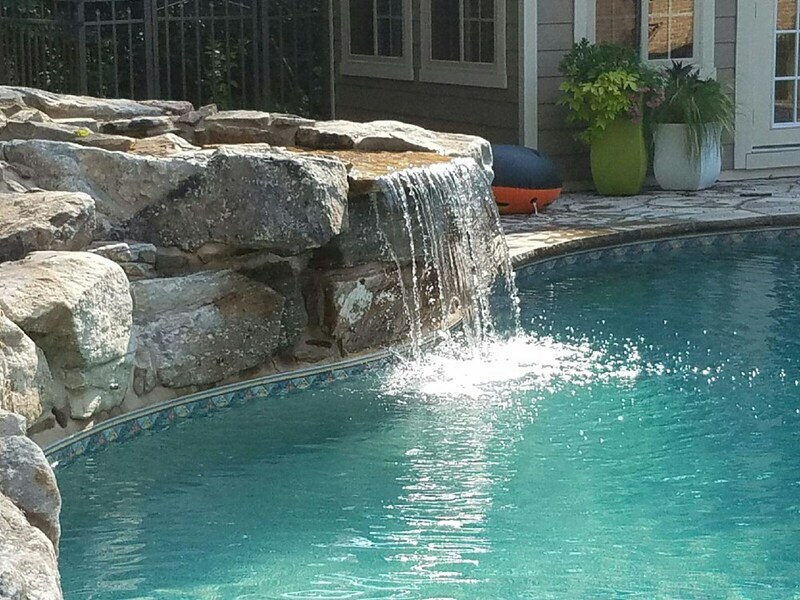 From standard rectangle pools to more modernistic infinity pools, our team of skilled and creative designers is here to work closely with expert pool builders to create a poolscape that is a reflection of your good taste and style. 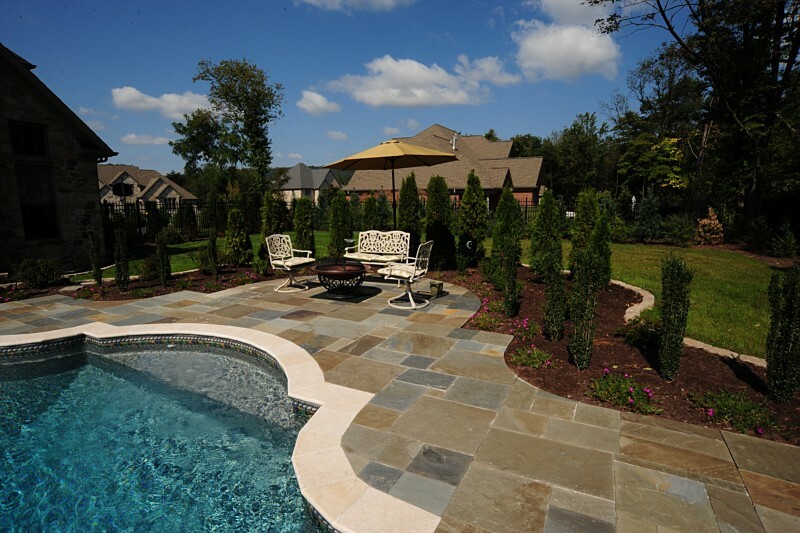 From start to finish, you can rest assured that your poolscape and swimming pool planning project is in the hands of skilled and seasoned hardscape professionals. We work very closely with you to understand your ideas, incorporating these along with recommendations of our own. 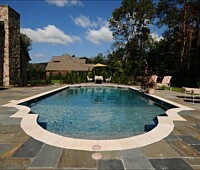 This comprehensive approach ensures you get the pool of your dreams. 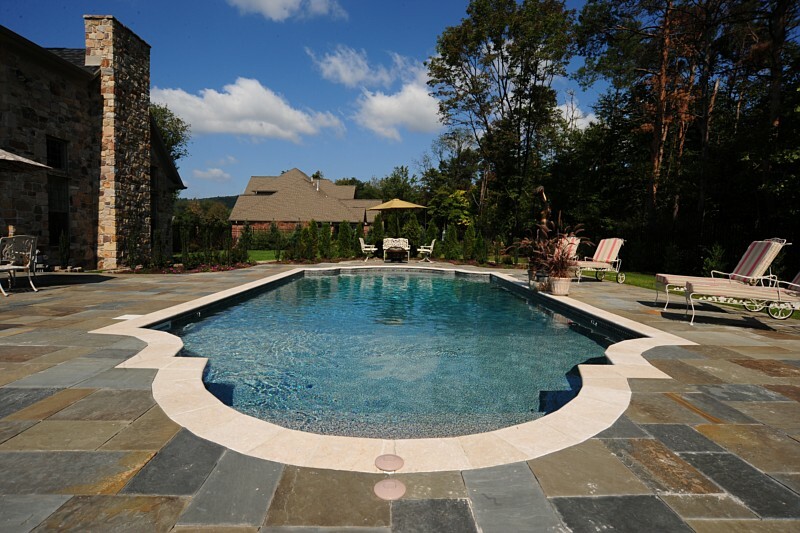 Just as the actual swimming pool feature needs proper planning and installation, the project will be incomplete without the right pool deck and surrounding spaces. These areas are open to the air and have to constantly weather the elements, making them prone to early deterioration and a shorter lifespan. 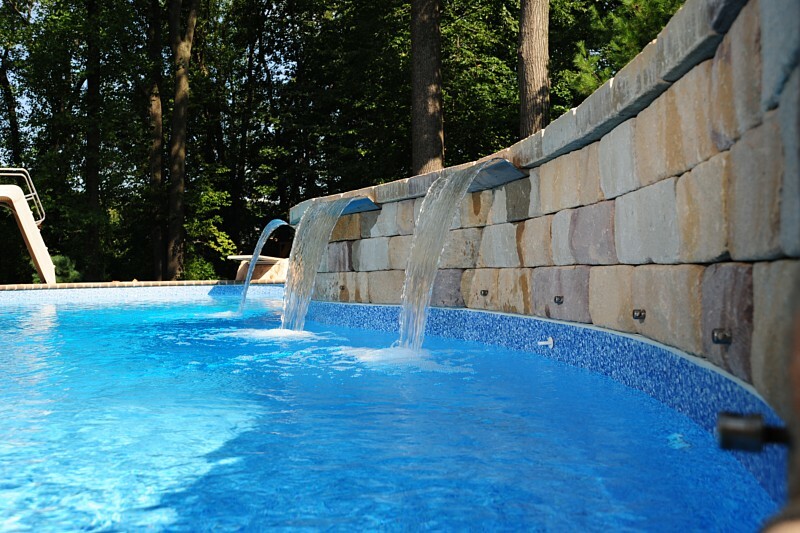 But our expert poolscape designers know that these effects can be, to a certain extent counteracted by using weather-resistant materials such as pool paver stones and natural stone pool coping. 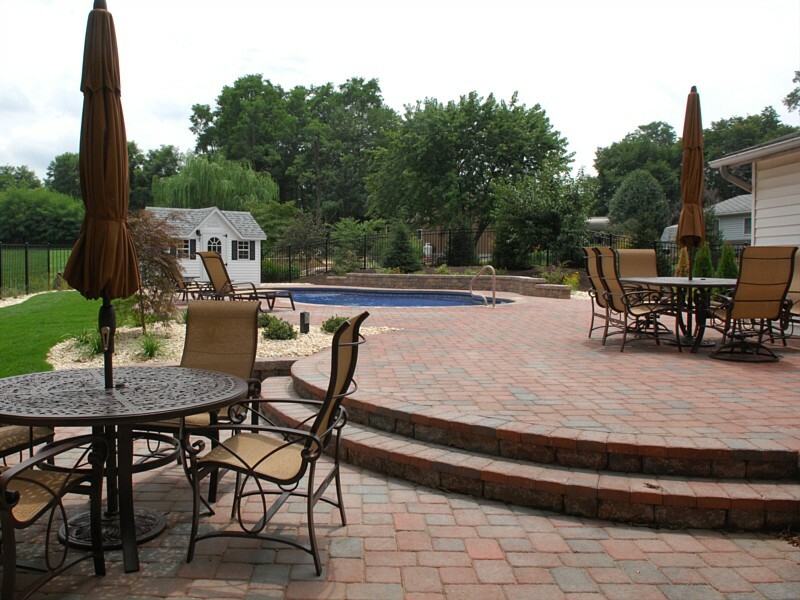 Pavers come in a variety of designs, colors, textures, and styles, allowing our skilled crews to create unique patterns on the pool decks and adjacent spaces. 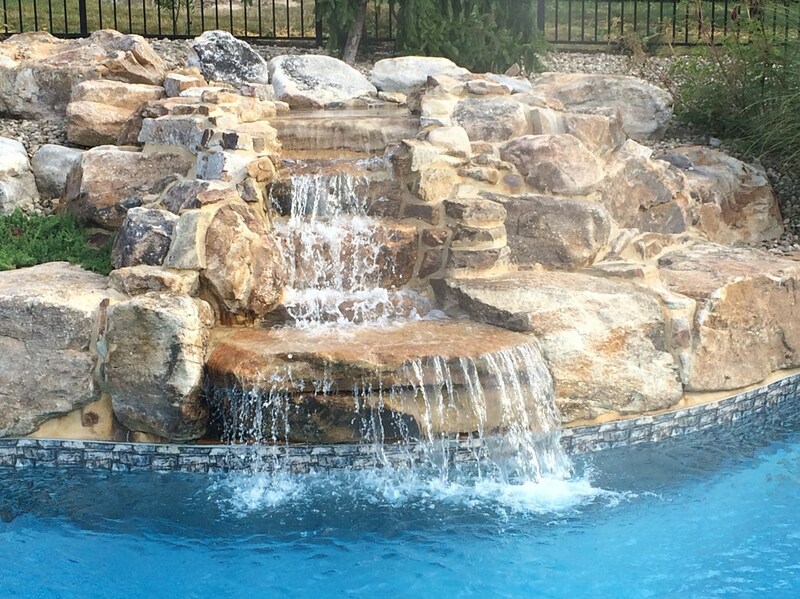 If you have opted for a spa feature installation, we will design that space in conjunction with the pool area, creating a seamless look in your landscape. 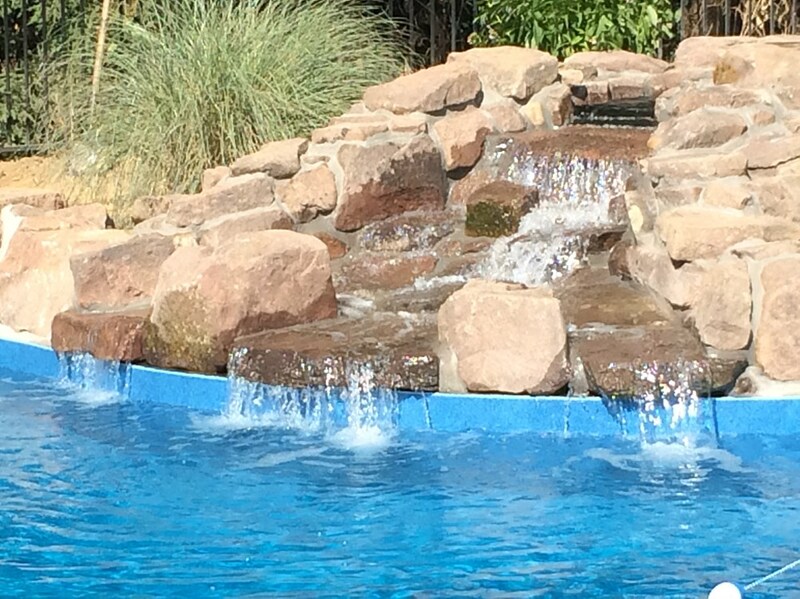 Regardless of whether you want a relaxing, freeform, natural, flowing, elegant or formal pool, we are the skilled poolscape designers to call. 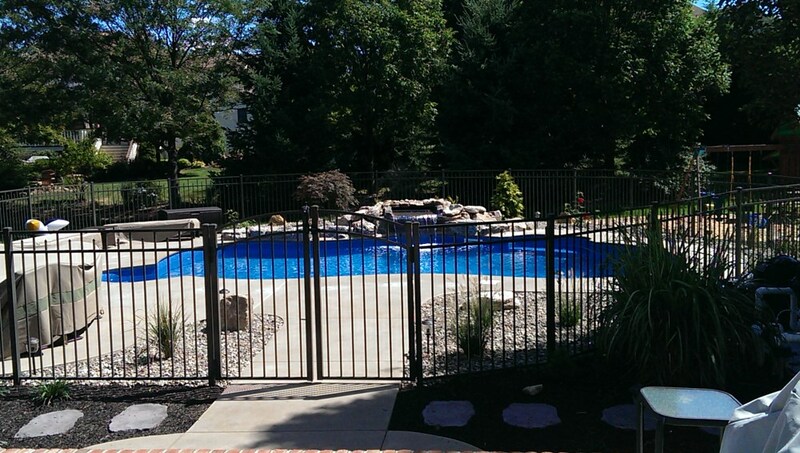 For any more information about our services and to discuss your project details with our experts, feel free to contact Hemlock Landscaping at 717-652-9535. You can also send us your queries via this Contact Us form and one of our experts will contact you shortly. 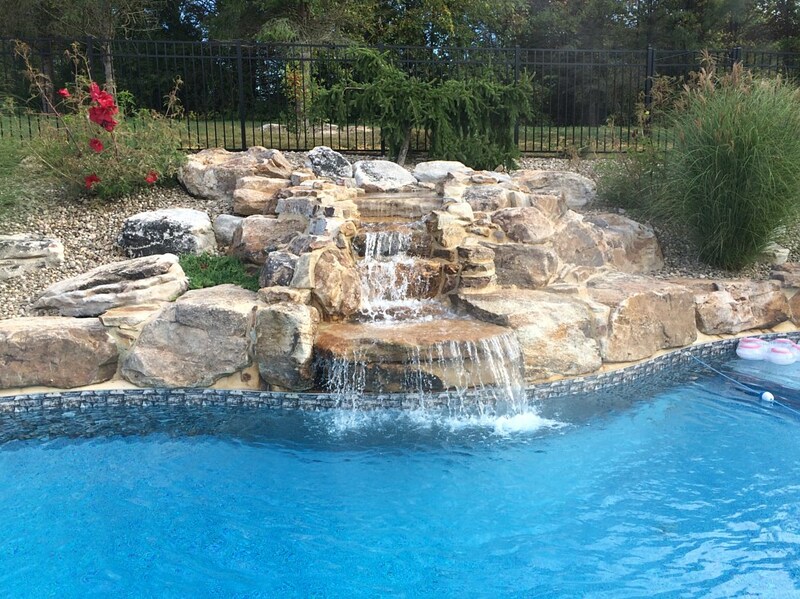 We assure you of the best services at very competitive swimming pools design cost. 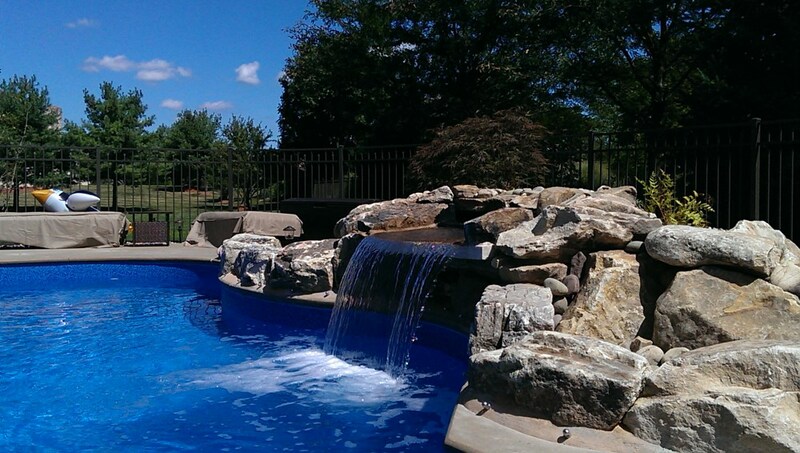 Teaming up with Goodall Pools, Crystal Pools, or a company of your choosing gives us the opportunity to offer you an infinite number of designs that will keep you way ahead of the Joneses! HIC#PA020889. Bureau of Consumer Protection 1-888-520-6680. © 2019 Hemlock Landscaping Inc.